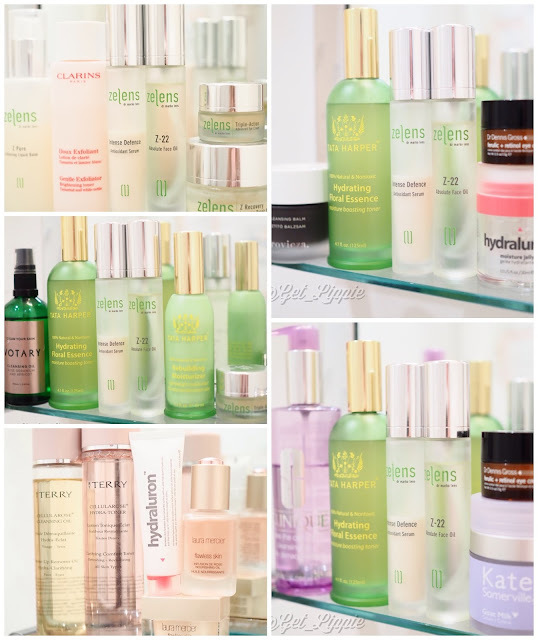 A mixed bag skincare-wise this week, I started the week with a Zelens-heavy routine (have I mentioned how much I love Zelens? It’s true, I do), and, I still love a full routine from them – in particular the Z Recovery Intensive Repair Balm, which is a lifesaver. A non-greasy balm that sinks in, heals and nourishes stressed skin, I’ve used it after operations, during illness, after allergic reactions, on burnt skin, and occasionally – just once in a while, mind – I use it as a particularly hydrating moisturiser too. I’m near the end of this jar, and need to stock up, now I come to think of it. The rest of the week has seen Tata Harper products settling in to become regular choices in my usual routine (instead of me being merely obsessed with them), and I’ve rotated some ByTerry choices from the Cellularose range into my routine too. The Cellularose range smells absolutely divine, but the oil only emulsifies partially, which is a bit odd, but I still like using it, regardless. I’m trialling a new foundation at the moment, so I’ve been using a variety of moisturisers and oils in order to give it a range of bases to work on. I’m nice like that. Moisturisers this week have included Kate Somerville Goat Cream (an eternal favourite), Laura Mercier Flawless Skin (a new addition after it turned up at Christmas) Indeed Labs Hydraluron Moisturising Jelly (love this stuff for hydrating without greasiness) Tata Harper Rebuilding Moisturiser (which I love an unreasonable amount) and, of course, the aforementioned Z Recovery, which is aces. This week was all about the lipstick though, and more about that later. What’s been on your face?